This is definitely one of the most important papers of 2018. 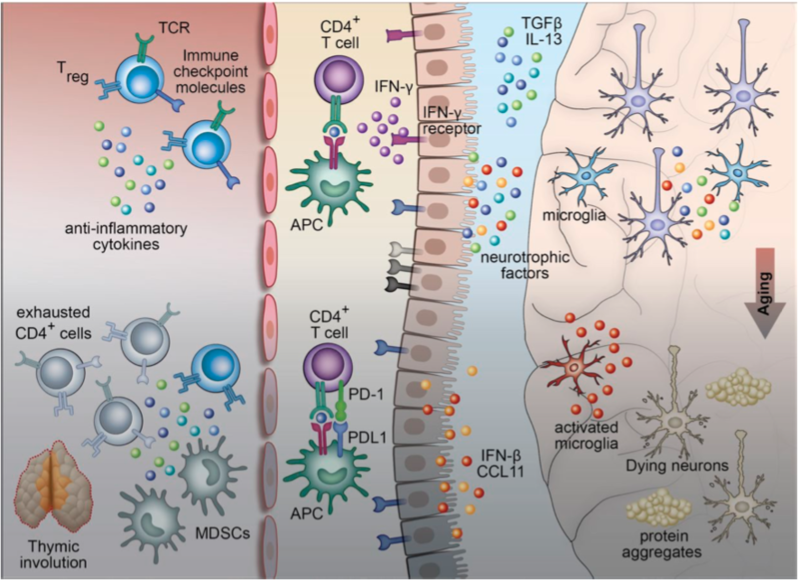 It describes how supporting the immune system in patients with neurodegenrative disease could form the basis of novel therapies. 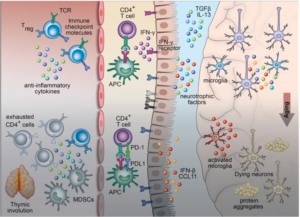 The team also contends that, when it comes to these neurodegenerative conditions, “autoimmunity” and immunosuppression are failing paradigms. This open-label, dose escalation trial evaluated the safety and efficacy of adoptively transferred in vitro-expanded EBV-specific T cells for patients with progressive Multiple Sclerosis. Clinical improvement was seen 7 of the 10 patients, with the greatest benefit for patients that received T cells with strong EBV reactivity. This retrospective cohort study found that use of anti-herpetic medications in the treatment of Herpes Simplex Virus (HSV) infections was associated with a decreased risk of dementia. The findings could be a signal to clinicians caring for patients with HSV infections, especially since the herpesviruses are implicated in a growing number of neurological conditions. 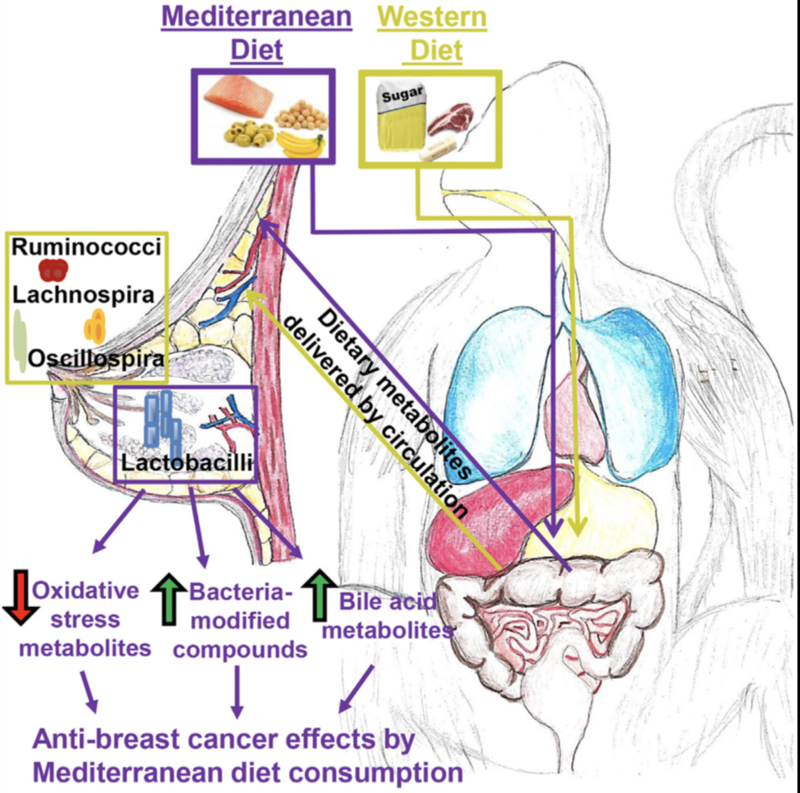 The team found that, in primates, eating a Mediterranean diet altered composition of the breast tissue microbiome + associated microbial metabolites in the region. 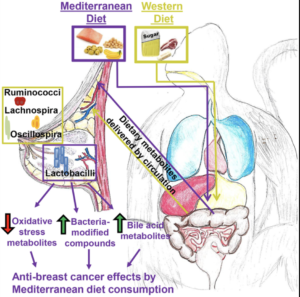 The findings suggest that dietary changes may influence microbiome ecosystems outside the human gut. The paper is an excellent introduction to the field of functional metabolomics: the use of carefully identified metabolites to modulate diverse processes like stem cell differentiation, oligodendrocyte maturation, insulin signaling, T-cell survival and macrophage immune responses. Because metabolites used in this fashion directly modulate the biology of the host, they can be potentially be used to create new treatments for a range of conditions. A perfect example of functional metabolomics at work. The team found that mitochondrial proteome one-carbon metabolism is particularly blunted in aged T cells. But providing metabolites in one-carbon metabolism to the aged T cells resulted in improved activation and survival. This could could represent a new strategy to develop immunotherapies for a range of chronic conditions.